While we remain an entirely free publication, we do require money to keep running. One way to support Prehistoric Magazine is to purchase one of the creature books we publish each year. Our books are literally movies on paper. PREHISTORIC MAGAZINE is a free online publication released 3 times per year. Join 5,000 plus readers who receive the magazine in the months of April, August, and December. We hope you will join us. Thank you for subscribing to Prehistoric Magazine. You will be emailed the magazine three times per year. We will also reach out at other times during the year when we have cool news to share. Thanks for your support. We are pleased to offer a physical edition of Prehistoric Magazine. While the magazine is released electronically three times per year, fans can also purchase a physical copy of the magazine below. Grab your copy today. 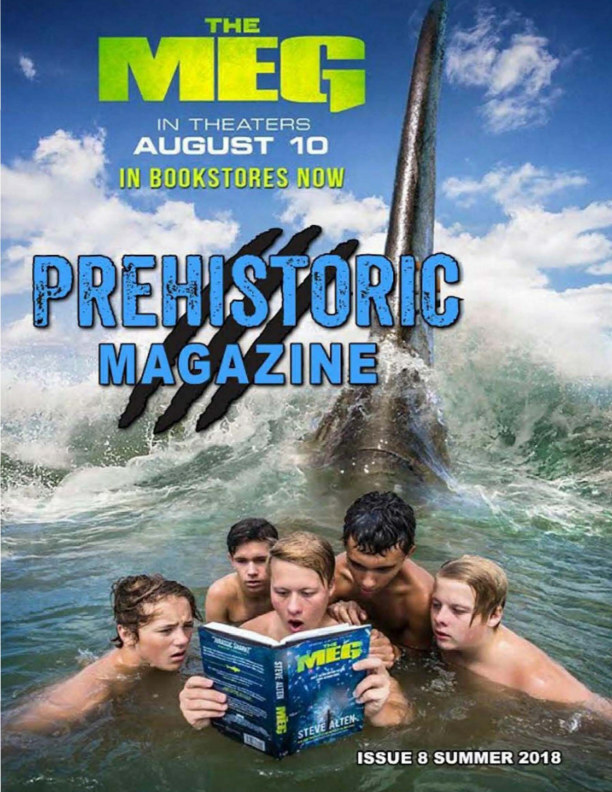 Click the Prehistoric Magazine Issue 8 cover image to view a sample of the magazine. Bick Downs and The Society of Cryptozoological Agents return home to San Francisco only to find that up north, in the sleepy farming town of Santa Rosa, something terrifying has been created.